Summer holidays may feel like a distant memory but we've come back energised for a truly awesome season. We're looking forward to connecting with you all if we haven't done so already. September has been a very active month for us. We had the first Green Drinks Brussels of the season last week and the Sustainability Communications Lunch on Monday is on 'Crisis Communications: Lessons Learned From The Horsemeat Crisis'. We're also planning to organise The Big Swap at our office to help kickstart the sharing economy in our community. More on that soon but in the meantime, start clearing out your cupboards and putting some things aside. In the last couple of weeks, we've been on the sustainable biofuels conference circuit. I moderated two half-day sessions on Finance and Sustainability & ILUC at the Biofuels International conference in Antwerp on 11-12 September. Last week, we attended another sustainable biofuels conference organised by our 1% for the Planet nonprofit partner Natuurpunt. My absolute highlight this year so far was being made a 1% for the Planet Ambassador. It was a dream come true to become more involved with 1% for the Planet, who help companies donate 1% of their profits to environmental organisations. I'm in really good company alongside singer Jack Johnson, Rob Greenfield (an awe-inspiring guy who cycled across the US on a bamboo bike this summer) and some amazing sustainability advocates who make up the Ambassador team. My goal is to use this honorary position to raise even more awareness of 1% for the Planet in Europe. 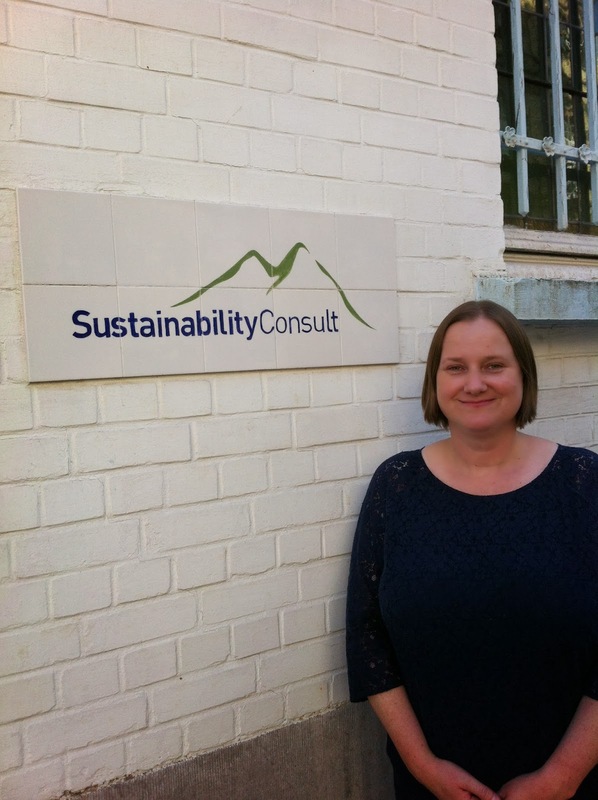 In the Sustainability Consult office in Brussels, we've been joined by Hayley Coristine, a Canadian who was working in the UK for environmental consultancy ADAS. Hayley has a Masters in Environmental Protection and Management from the University of Edinburgh and has integrated into the Team within no time at all. And last but by no means least, we have partnered with Sustainable Brands for their London conference on 18-19 November. As a media partner, we are able to offer a 20% discount on the entrance fee to our community. Our special member network code is NWscSBL and you can register here. It's a blast to be involved with such an inspiring conference, particularly after I attended Sustainable Brands '13 in San Diego in June. So that's all from me for now. I hope to see you for lunch, coffee or at Green Drinks or one of the other events we're involved with. Honored to be by your side Kathryn!